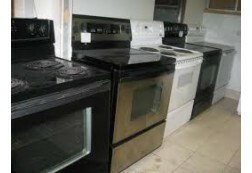 Whirlpool - Black, Smooth Top, Self Clean Range - Warranty! 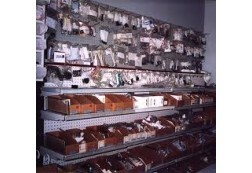 COME IN AND CHECK OUT OUR INVENTORY OF FULLY GURANTEED USED UNITS Our Used Appliance Warehouse SALE! - Front Loader Washers $310. 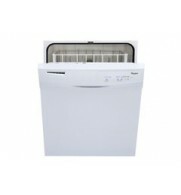 - $490 and Dryers $180. 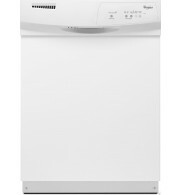 - $275 - 30" Stoves $290 - $599 - Fridges $249 - $429, - 32" &..
FULL MANUFACTURERS WARRANTY ENERGY STAR® and CEE Tier 12 qualifications, this dishwasher exceeds federal minimum energy efficiency standards by more than 15% and may qualify for rebates. The resource-efficient wash system cleans a full load o..
Auto Soil Sensor Auto Soil Sensor Energy and Eco-Friendly Energy Star® Qualified Yes Resource Saver Resource Efficient Style and Extras Interior Finish Plastic Silverware Basket Large In-the-Rack Silverware Basket Cycle and Optio..
Take home a "Dual Wash" dishwasher that will help improve your home and the environment. 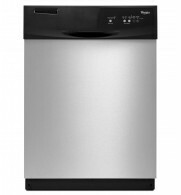 With Energy Star and CEE Tier 1 qualifications, this dishwasher exceeds federal minimum energy efficiency standards by more than 15% and may qualify for reb..